A party hard luxury hotel frequented by celebrities. We obviously hang out here a lot. These are the best hotels in Vegas to get your drink on. They don't call it Sin City for nothing. Las Vegas has become one of the top places to party in the world and some of the best Vegas hotels cater to the desire to get buck wild. With awesome nightlife, pool parties, and accommodations, these best Vegas hotels know how to please a party animal. Luxor Hotel and Casino: Two of our favorite nightlife venues are inside this giant pyramid in Vegas. CatHouse Lounge and the ever-popular LAX Nightclub make Luxor one of the best hotels in Vegas to party. Hard Rock Hotel and Casino: The Hard Rock Hotel and Casino in Las Vegas is the mecca of party hotels. As one of the best Las Vegas hotels to party, Hard Rock Hotel and Casino has a huge pool-party scene with a full bar and top-of-the-line underwater sound system. 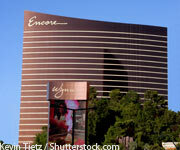 Mirage Hotel and Casino: The Mirage has every kind of club or lounge imaginable. Visitors can have an amazing time in Vegas and do something different every night, without ever leaving the hotel. The Mirage is definitely one of the best Las Vegas hotels to party with nightlife like 1 Oak, B.B. King Blues Lounge, Rhumbar, Japonais, and High Limit Lounge. If it's good enough for Caesar, it's good enough for us. These best hotels in Vegas have full-service spas to whisk away your worries. Las Vegas isn't always about partying. 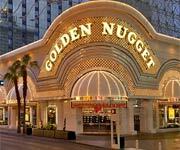 These are some of the best hotels in Las Vegas that cater to a relaxing Vegas experience. Full-service spas in Vegas help guests relax in the lap of luxury. There is nothing better than a massage after a long night in the casino and these best Las Vegas hotels definitely know how to pamper their guests. Bellagio: The 65,000-square-foot spa and salon at the Bellagio is the epitome of pampering on the Vegas Strip. There is no better place to relax and indulge than this super luxury Vegas spa. 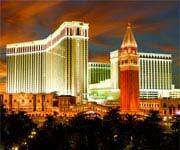 International treatments and excellent service make the Bellagio one of the best hotels in Vegas to be pampered. Aria Resort: Located in the heart of the Vegas Strip, The Aria at CityCenter has an incredible full-service spa for all your pampering needs. Schedule an incredible massage and spend a few hours in the serene private spa area at the Aria Las Vegas for the ultimate in Vegas relaxation. Venetian: The world renown Canyon Ranch Spa at the Venetian makes this hotel one of best hotels in Vegas with a spa. It's almost an insult to group this spa experience in with others, it's on a completely different level with a plethora of water therapies fit for a Queen. The best Las Vegas hotels combine reasonable room rates, a great nightlife scene and - of course - plenty of places to eat (and drink). Las Vegas is home to over 100 hotels and there are new ones being built all the time. It's a huge accomplishment to be one of the best Las Vegas hotels and they range from huge resort casinos to spa and relaxation centered hotels. Las Vegas is littered with gorgeous monstrosities, all designed to make stay in Vegas everything you want and more. Check out some of the best hotels in Vegas below, and use our Las Vegas coupons to get the most from your money on your upcoming trip to Las Vegas, compliments of Casino Boy. Hotels like the Bellagio and MGM Grand aren't just some of the best hotels in Vegas, they are some of the best hotels in the world. It's a struggle to stay on top in this ever-changing entertainment hub and as such, the best hotels in Vegas have to continue evolving and becoming better and better. Amazing pools, spas, nightlife, restaurants, and accommodations determine which hotels stay on afloat among the best Vegas hotels. Heavy-hitter hotels on the Vegas Strip are hard to beat with over-the-top entertainment venues and mega-clubs. Each hotel struggles to set itself apart in Sin City. This competition is what creates incredible hotels in Vegas that far out-do other parts of the country. As the entertainment capital of the world, a good hotel needs fresh ideas and concepts to make it one of the best Las Vegas hotels. 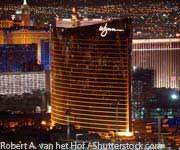 From the Vegas Strip to Fremont Street, Vegas is covered with amazing hotels. Whether guests are looking for old-school charm or a massive hotel with clubs and a giant casino, the best hotels in Vegas have something for everyone. Las Vegas is known for being over the top. Everything constantly needs to be bigger and better, and hotels are no exception. It's no wonder Vegas is home to some of the world's largest hotels, with the overwhelming desire to be the best, hotels are constantly renovating. It's no easy task to be considered one of the best Las Vegas hotels but these hotels leave the others in the dust.